This is the last piece of a three part blog post concerning the collaboration between AALTO Master students of the Media Lab with the School of Business and MENA Design Research Center. In this post, we discuss the co-creation workshop that was developed over the course of 2 days in the Island of Suomenlinna in Finland. After weeks of research and skype meetings, the teams were set to meet their client and engage in a co-creation workshop to further design the services that MENA Design Research Center offers, as well as create new strategies for growth according to the current challenges the center faces (explained in part I). The coordinators of the course rented out a conference room on the island of Suomenlinna, and accommodated all participants in a nearby hotel on the island for a full weekend. On saturday morning, after getting to know each other with team building exercises (which also included answering embarrassing questions publicly), each team set out to pinpoint 3 main challenges and the potential solutions that were suggested. Those were then further developed with concrete action plans and timelines. The system and services which were designed for MENA Design Research Center were based on the yearly cycle of the organization. One of its core projects, which defined the role of the center in the region, was DESMEEM. Therefore research into a newer version of this project is being conducted as a DESMEEM 2.0 with a variety of added features and modification based on feedback from the earlier version in 2012. Moreover, a list of Gatekeepers were deduced as main players in Business, Economy, Education, and Culture. These will be people who will be acting as ambassadors of the Center in the coming years. The entire process of this project will be documented and made public to our audience in Beirut Design Week 2014. By sunday evening all the team members were exhausted of brainstorming and set out to the nearest cafe for a good old Finnish Kahvi and lighter conversations. The MENA Design Research Center would like to thank Nina Martin, Anna Asikainen, Joanna Saad-Sulonen, Teemu Leinonen, Andreas Pattichis, Pirkka Aman, and Pouyan Mohseninia for all their efforts on making this project a great success. MENA Design Research Center in collaboration with AALTO university in Helsinki (The Media Lab and the School of Business) has been developing with its Master students new strategies for the challenges that MENA DRC has been facing as an organization in Lebanon. The course -New Media Concepts for the Third Sector- is made up of interdisciplinary teams of researchers, designers, and entrepreneurs that have been studying MENA DRC and developing service design strategies for growth and development as a co-creative consulting opportunity for both parties. In this first part of this blog post we will be introducing some of the challenges that MENA Design Research has been facing for the past year. Growth & HR: The center currently has 2 active working members (Doreen Toutikian & Maya Karanouh). 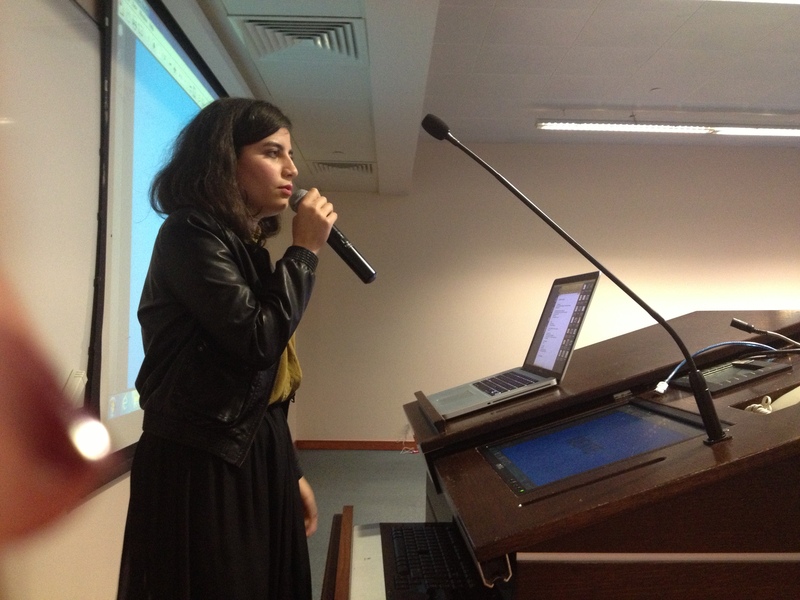 While Maya helps in providing contacts for business development through Lebanese SME’s, banks and organizations alongside managing her company TAGbrands, Doreen builds relationships with international organizations, embassies, and universities as well as handles the daily tasks. During projects, the center hires coordinators for the length of the project. Volunteers are welcome but rare. TAGbrands as an incubator provides office space and services to the center. These services include graphic design, social media, legal services, accounting and PR. We believe that having more full-time employees would be very beneficial to the center, but as it is not financially feasible, should we employ volunteers? How can we grow in our human resources while keeping the integrity and commitment of people that contribute? What kind of benefits can we provide instead for their dedication to developing the center? Direction & Focus: As far as we know, there are no similar Design related NGOs or non-profit organizations in the region. Therefore, our responsibilities are quite broad. We have still not decided on a certain direction or focus and we are not sure if this is necessary yet. We are involved in all the following activities and initiatives: festivals, workshops, training, user-centered research, publications, conferences, social development, urban planning, urban mobility, community integration, youth& education…etc. At some point, the center must diverge all its energy towards a pivotal point. Do we just focus on Beirut Design Week, and develop similar events throughout the year (conferences, workshops, talks, exhibitions…etc.)? Do we focus more on social work? 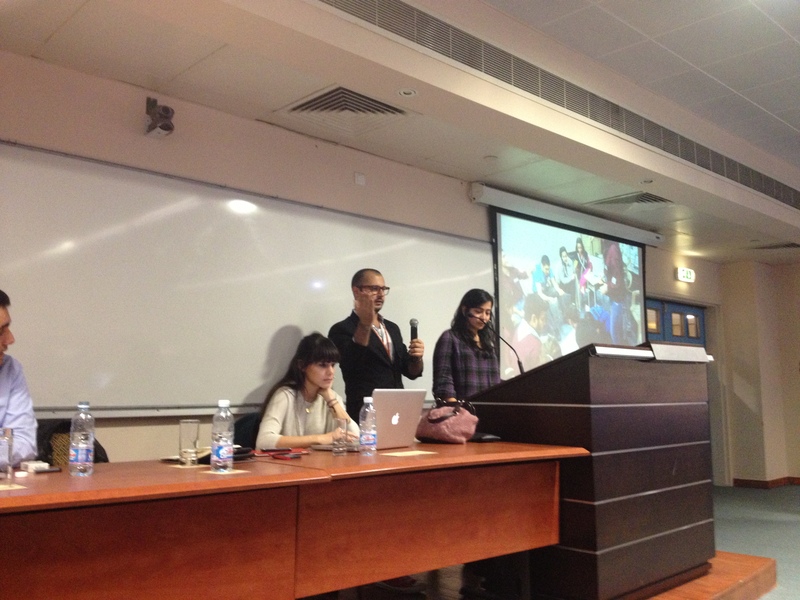 Do we do our own research and publications that concern design in the Arab world? Community Building & Communication: We have a large network of followers on social media, but they all seem like one group (those who are design/ tech savvy). 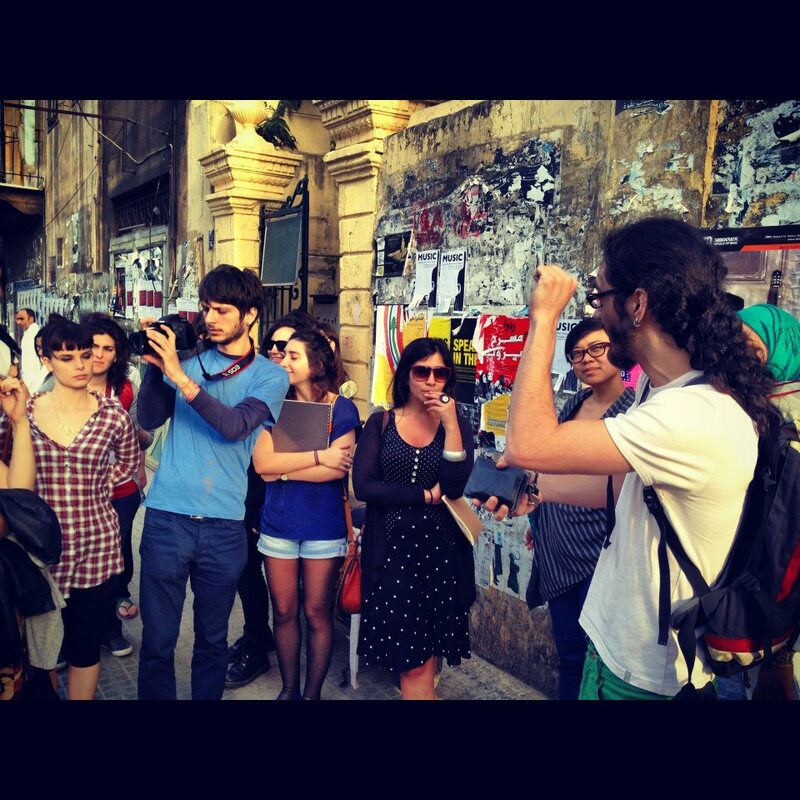 How do we involve other communities that are not necessarily the hip people of Beirut? How can we reach them? How can we make them interested in what we do and perhaps help them benefit from us? How do we communicate who we are to those who don’t speak our language? How can we make them see that Design is more than just luxury and fashion? Financial Stability: Since the center is incubated by TAGbrands, we do not have to pay for rent or maintenance. 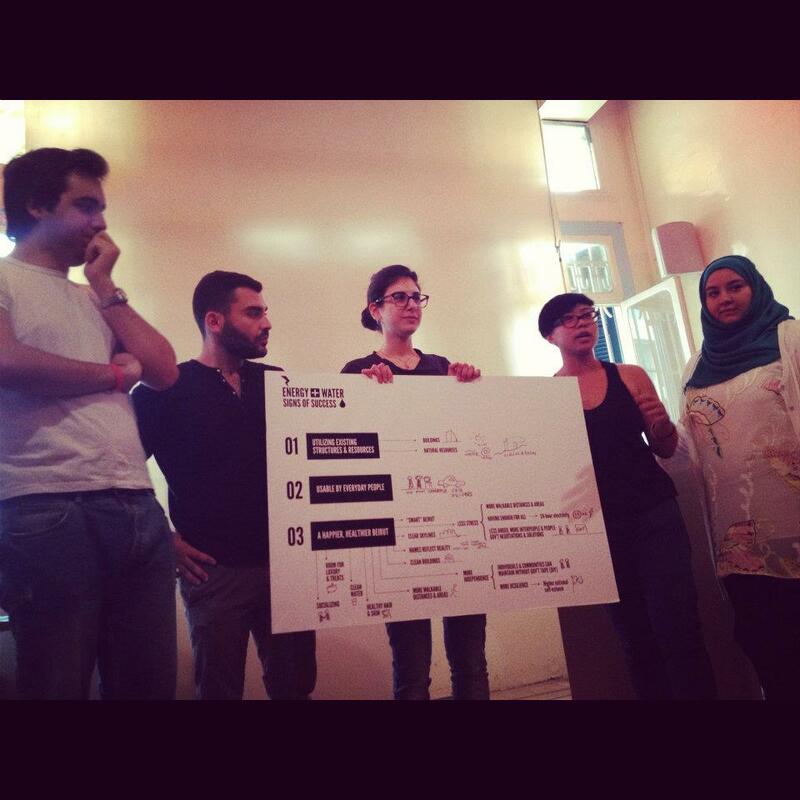 When we realized that funding is scarce for Design in the MENA region, we created Beirut Design Week as a service to Lebanese designers that acts as an annual crowdfunding platform. Embassies and international organizations also help us to bring in professionals from all over the world during the week. This is the main source of income for the center. It is enough to keep it running, but not enough to initiate other projects. Are there other services we can provide that we haven’t thought of? What else can MENA DRC offer? Space: Unlike many cultural organizations, we do not have a large space to host events, workshops, exhibitions… etc; which could be a way to sustain the center financially. Should we be looking at finding a space for ourselves? Are there possibilities for partnerships with the private or public sector where our presence in a certain space could be mutually beneficial? Beyond Lebanon: Eventually, we would like to be a regional institution with unified goals and a mission to develop the understanding and awareness of Design in the Middle East and North Africa. We are still very young, and we need to prove ourselves and grow much more to be able to take on such a responsibility. What would be the best strategy to expand within our neighboring countries? In the next blog post we will be discussing the workshop that took place in Finland as a co-creation session between Doreen Toutikian (Director of MENA DRC) and the AALTO students; where the students took on those challenges and turned them into opportunities for the center. 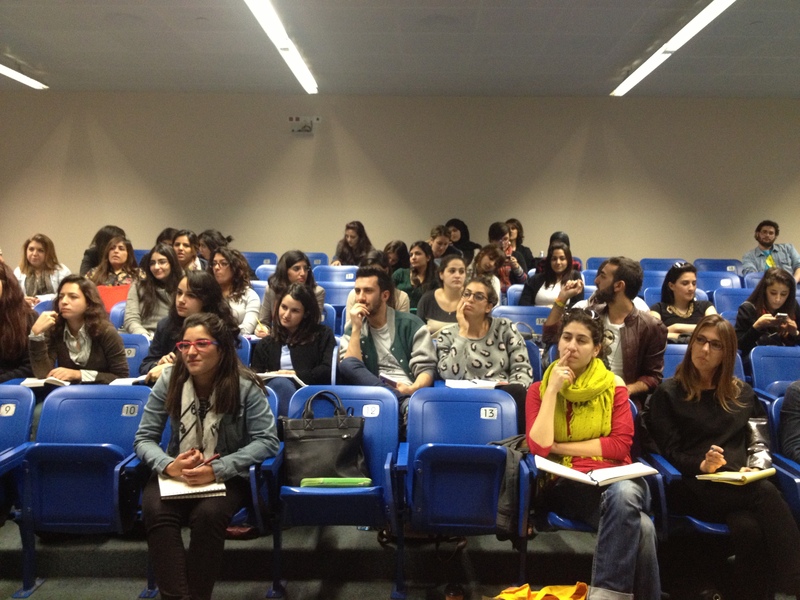 On FRiday March 1st 2013, the Desmeemers were invited to the Lebanese American University to talk about their design process during the three months of the Desmeem project. The teams informed the design students about the research methods they used, the challenges they faces along the way, and the outcomes they achieved through human-centered design. 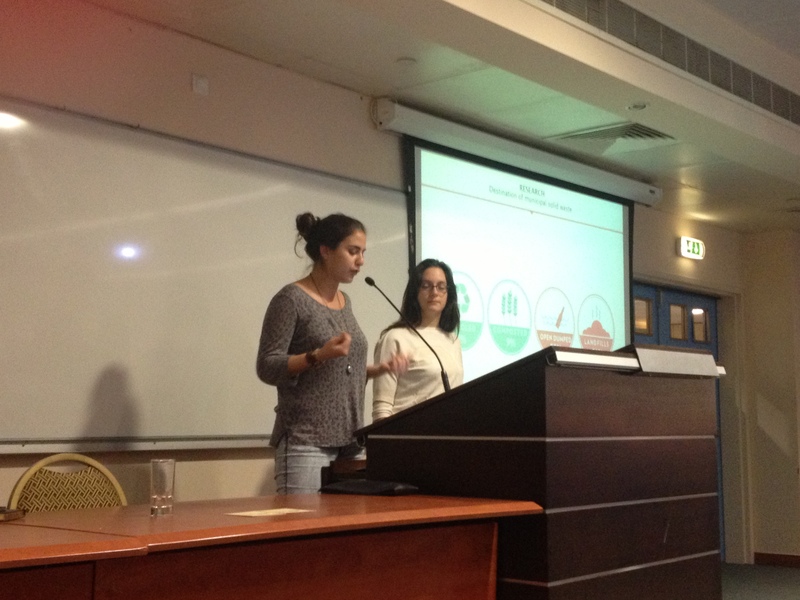 On behalf of the MENA DEsign Research Center, we would like to thank LAU and the Desmeemers for this truly informative and inspiring event! The first Beirut Design Week 2012 was a great milestone for Lebanon and the Middle East as it was the first of its kind in the region. The reason behind the success of Beirut Design Week was the fact that we as a design community at large collaborated together and each participant, partner and sponsor put great effort into the event. In honor of this week, we have created a report of all the events and communications that contributed in making Beirut Design Week 2012 a week to remember. The Beirut Design Week was proudly organized by the MENA Design Research Center, a non-profit organization dedicated to promoting the understanding of design, and developing its role as a creative tool for the enhancement of society at large. Please visit the link below to look through the pages that will remind you of your experience of that week, and perhaps highlight some events that you might have missed. Feel free to share the link with your friends and colleagues. See you at Beirut Design Week 2013. Last week Pia Drechsel, Co-Founder of Design Research Company and Part-time lecturer in Germany spent a week in Beirut with each team of DESMEEMERS to guide them through their research methods and ideation process. With one-on-one sessions with each team, she helped them define their precise targets and gave advice as well as examples from her previous experience while working on such projects. She also introduced various ways of collecting and visualizing data, each based on specific criteria that would help the teams better analyze the vast information they have now accumulated through their desk and field research. Pia was later interviewed at the end of the workshop. 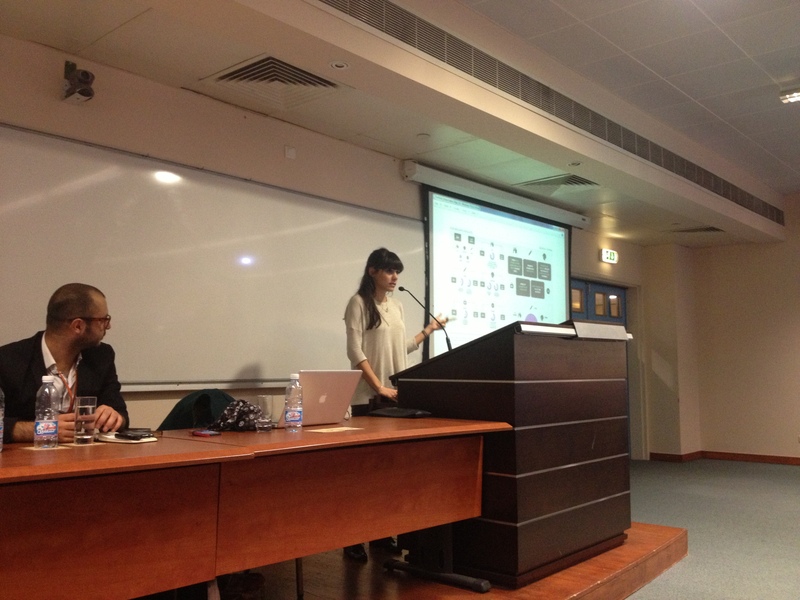 Sh expressed great enthusiasm and excitement for the outcomes of each team, and looks forward to Beirut Design Week, which she will attend with her company partner Bianca Bender. 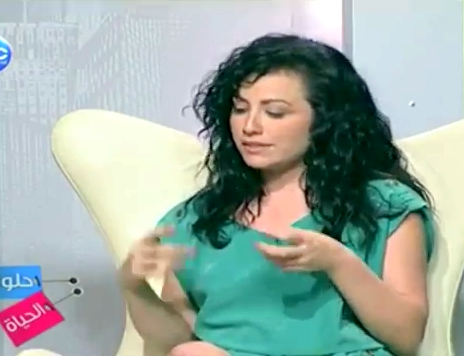 On Wednesday the 18th of April, Doreen Toutikian, Director of the MENA Design Research Center and DESMEEM was interviewed on the popular daytime TV show ‘Helweh Al Hayat’ on the Lebanese Broadcasting Channel. To watch the video click here. For our non-Arabic speaking audience, sorry, there are no subtitles. Every saturday the DESMEEMERS meet up to present updates on their projects, discuss some ideas, and receive feedback from other teams. 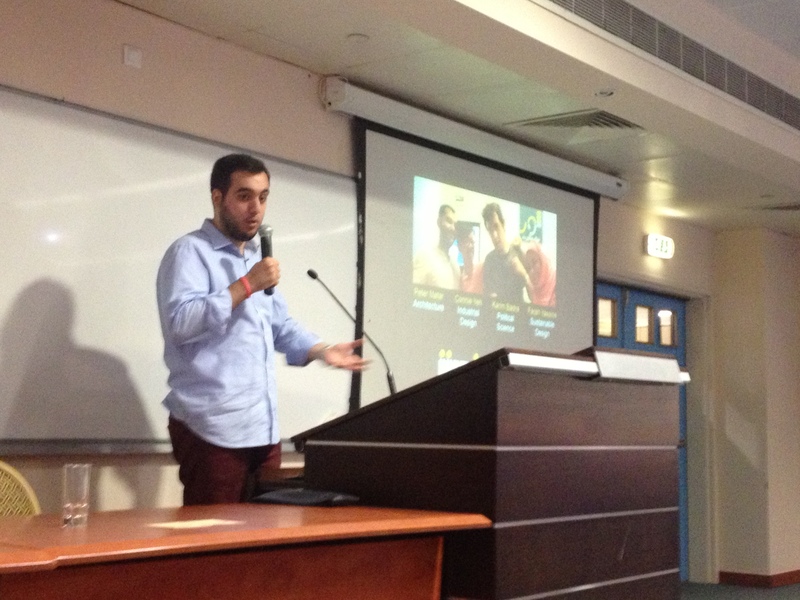 This past saturday we had our first Saturday Talk. Every team presented their desk research on the topic, categories sub-topics, and decided on a direction for further research. 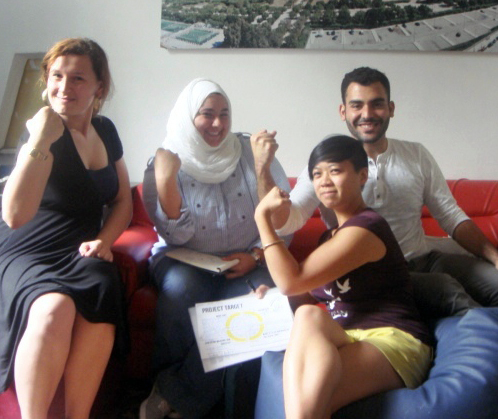 It was a very productive day at Zicco House in Hamra, each team was excited to know about the work the others were doing, and many shared resources and ideas which enriched each project even more. Next saturday we will be looking into the different research methods that the teams used for human-centered field research. To view the entire program of DESMEEM click here.